Fishing quotas have been traditionally set based on the belief that fish don’t move much. But that is changing. Over the past 50 years, as Atlantic waters have warmed, fish populations have headed north in search of colder temperatures. 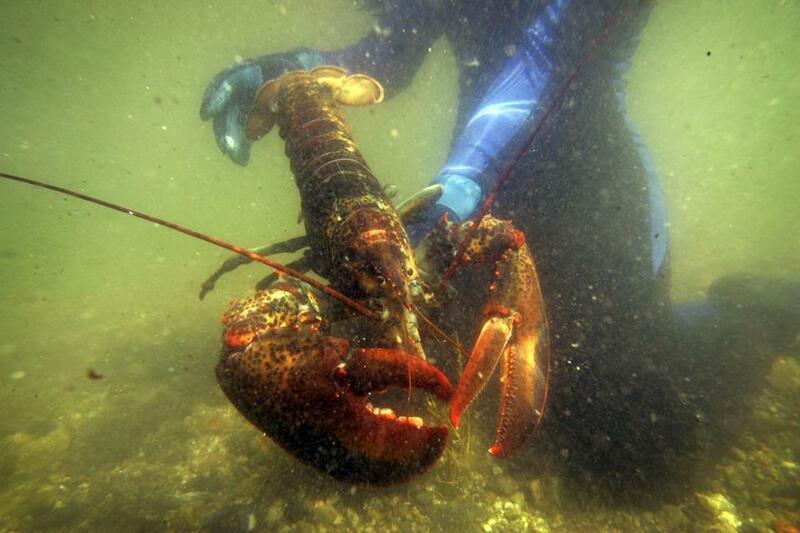 Lobsters have migrated 170 miles and the iconic cod about 65 miles, while mid-Atlantic species such as black sea bass have surged about 250 miles north, federal surveys show. But fishing limits and other rules, by and large, haven’t shifted with them. 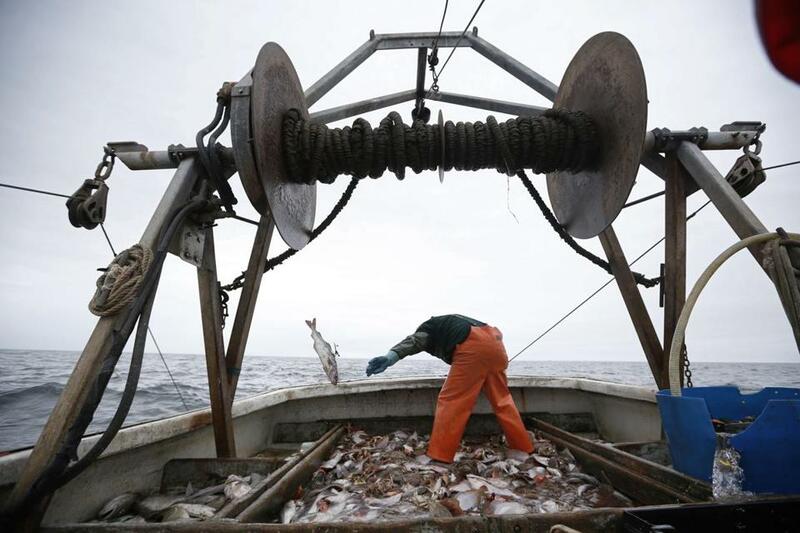 The rapid movement of fisheries, in New England and around the world, has outpaced regulations and exacerbated tensions between fishermen in competing regions and countries, threatening to spark conflicts that specialists fear could lead to overfishing. “This is a global problem that’s going to be getting worse,” said Malin Pinsky, an assistant professor of ecology at Rutgers University, who led a recently released study on the movement of fisheries in the journal Science. With climate change expected to accelerate in the coming years, new fisheries are likely to emerge in the waters of more than 70 countries and in many new regions, the study found. Fishing quotas in the United States have been traditionally set by councils overseeing specific regions, based on the belief that fish don’t move much. “Well, they’re moving now, because climate change is warming ocean temperatures,” Pinsky said. He and others have called for new regulatory schemes that include quotas that would apply across regional and national borders. Such new regulations, however, would be thorny, as they would entail redistributing quotas. Over the years, broad movements of fish have proven to be a recipe for conflict. In 2007, as Atlantic mackerel moved away from European Union waters toward colder shoals near Iceland, the silvery fish with forked tails precipitated a trade war. EU nations had each been allotted specific quotas; Iceland, which isn’t in the union, doubled, then tripled, and ultimately quintupled their fishermen’s quotas. In the waters off New England, where lobster numbers have plummeted south of Cape Cod and surged off the coast of Maine, quotas are controlled by an interstate body, reducing conflict as lobsters have migrated north. In 2016, Maine landed a record 132 million pounds of lobster — double the catch in 2000 — while landings in Connecticut plunged from a high of 3.7 million pounds in 1998 to just 259,000 pounds in 2016. In 2016, Maine landed a record 132 million pounds of lobster — double the catch in 2000 — while landings in Connecticut plunged from a high of 3.7 million pounds in 1998 to just 259,000 pounds in 2016. But the shift has also sparked tensions with Canada in 277 square miles of water between Maine and Nova Scotia called the Gray Zone, which both countries have claimed since the Revolutionary War. 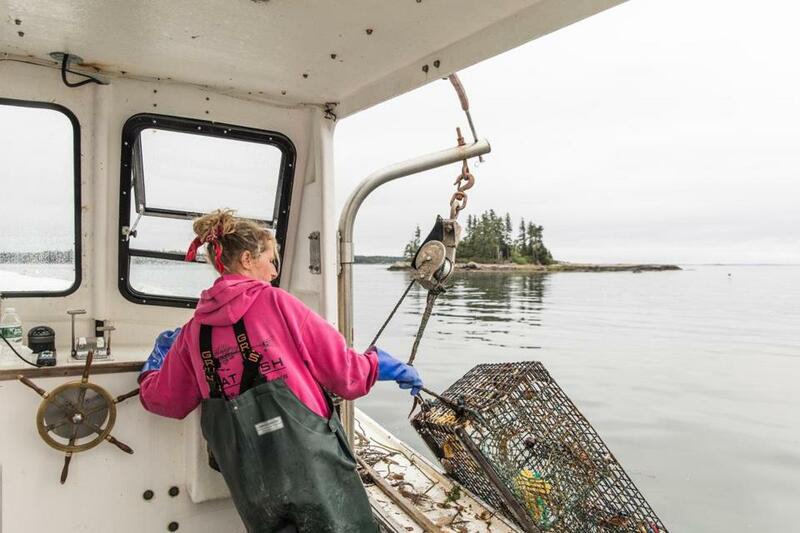 The Canadians had long ceded the lobster to Maine fishermen, but that has changed as the lobster population has surged. In 2016, Canadians caught nearly $9 million worth of lobster in the Gray Zone — 1,500 percent more than when they started fishing the area in 2002, according to Fisheries and Oceans Canada. The result has been constant friction between lobstermen from both countries, as their traps get entangled or sabotaged. Fishing regulators acknowledge the impact of warming waters on a range of species and the need to update regulations. While quotas haven’t been adjusted to mirror the rapid shifts, Nies said, the New England and mid-Atlantic councils have created joint committees to manage the change. Since 2004, he noted, the United States and Canada have been working together to address issues affecting cod, haddock, and yellowtail flounder, species that cross the boundary in the Gulf of Maine. They now share assessments of each other’s stocks, which they use to set quotas. Still, as water temperatures rise, more coordination will be needed to head off conflicts, Nies said. “Clearly these changes are a challenge for management,” he said. Among those challenges is the steady northern migration of black sea bass, a voracious species known for its distinctive black stripe. Nearly half of their quota remains with fishermen in states from Delaware to Virginia, even though NOAA surveys have found that 99 percent of black sea bass now inhabit waters from New Jersey to Rhode Island, Pinsky said. A lobster boat in Maine. In an effort to persuade NOAA to change quotas for black sea bass, as well as for scup and summer flounder, congressmen from throughout the region called on the agency two years ago to adjust to the new reality. Environmental advocates and fishing groups have also urged the government to act. Without more international agreements, some worry that fishermen and regulators on one side might decide it’s in their interests to eliminate their quotas as stocks move across borders, even those that have dwindled. Others cautioned that any significant changes in regulations should await greater certainty that stocks have moved permanently. At the same time, any new regulatory regime should defer to communities that have fished certain species for generations, some said.